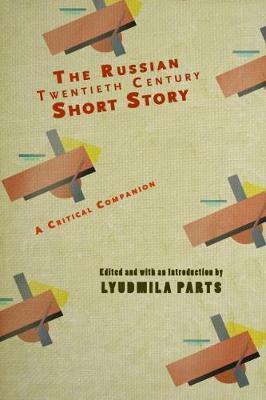 "I am a phenomenon quite out of the ordinary"
The Twentieth Century Russian Short Story: A Critical Companion is a collection of the most informative critical articles on some of the best twentieth-century Russian short stories from Chekhov and Bunin to Tolstaya and Pelevin. While each article focuses on a particular short story, collectively they elucidate the developments in each authoraEURO (TM)s oeuvre and in the subjects, structure, and themes of the twentieth-century Russian short story. American, European and Russian scholars discuss the recurrent themes of languageaEURO (TM)s power and limits, of childhood and old age, of art and sexuality, and of cultural, individual and artistic memory. The book opens with a discussion of the short story genre and its socio-cultural function. This book will be of value to all scholars of Russian literature, the short story, and genre theory. Lyudmila Parts (Ph.D. Columbia University) is an associate professor at the Department of Russian and Slavic Studies at McGill University. Her book The Chekhovian Intertext: Dialogue with a Classic (2008) explores the intersection of intertextuality, cultural memory, and cultural myth. She has published articles on Dostoevsky, Chekhov, Tolstaya, Petrushevskaya, P'etsukh, and Pelevin.